The most awaited festival of Brother and sister is going to visit in a couple of weeks. 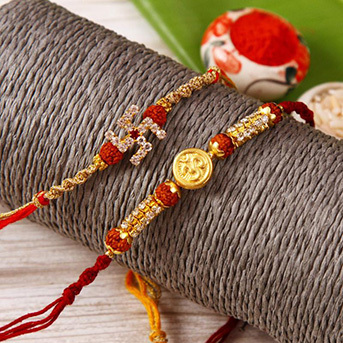 I am sure there are sisters like me digging the web searching beautiful rakhi for their brother. Girls your search stops here. 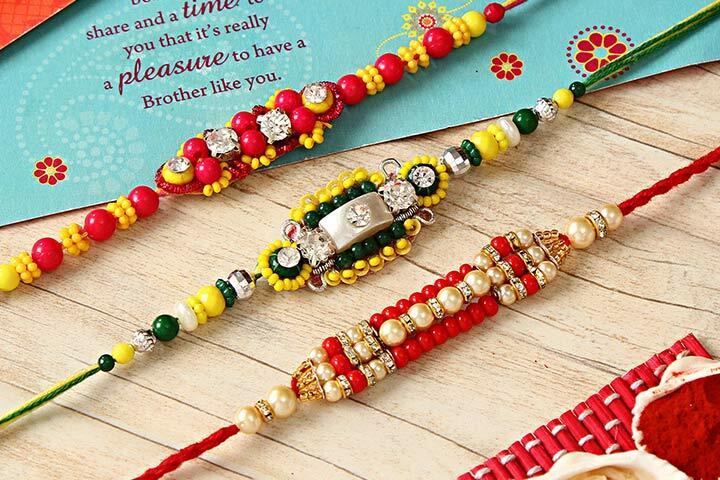 I am sure you will love sending these 3 pocket-friendly rakhi combos to your brother. This rakhi with red and yellow beads on red and yellow thread makes it a traditional and decent piece. It comes with a roli and chawal card. You can deliver it worldwide via Igp.com. This beautiful blue colour rakhi reminds of Lord Krishna. Convey your love and wish through this blue colour stone rakhi to your naughty yet lovable brother. This rakhi comes with a pack of roli and chawal in it. You can deliver it worldwide via IGP.com. This red colour zardori rakhi conveys your love and best wishes itself. The leaf and the beads on the dial looks like a crown and expresses a sister’s heart well – “Brother you are the best”. This beautiful rakhi comes with a pack of roli and chawal. You can deliver it worldwide via Igp.com.